Donna is the owner and Artistic Director of Dance Steps. She is a Registered Teacher with the Royal Academy of Dance and holds her RAD Teaching Diploma, with written papers in Anatomy and Dance History. She has served as a Supervisor of the Royal Academy of Dance CBTS Teacher Training program. Donna began her dance training at the age of 12 in London ON with Dorothy Scruton at the London Academy of Dance and Theatre Arts, where she developed a deep passion for dance. She continued her training at The Royal Winnipeg Ballet Professional Programme, dancing three seasons with the RWB Professional Programme Concert Hour Ballet. While in the Professional Progamme she toured and danced RWB Company in The Nutcracker and Les Sylphides. Donna graduated from The University of Western Ontario In B.A. and throughout university, she was involved in Purple Patches Musical Theatre Productions either as a dancer or choreographer; while additionally, teaching at a studio she founded called Jazz Dance. A few years later in 1989, Dance Steps Studio was founded in London and has been a prominent studio in London's dance community. At Dance Steps, Donna has been able to conceptualize, direct and produce multiple original dance productions of shows such as Sleeping Beauty, Cinderella, Little Mermaid, Mary Poppins, Snow White and the Seven Dwarfs, Beauty and the Beast and the acclaimed Nutcracker. Due to her dedicated and continued passion, quite a few of her former students have chosen to follow their own passions for dance; many are accepted annually to multiple professional dance schools including National Ballet School, Royal Winnipeg Ballet, Alberta Ballet School, Juilliard Dance Program, Stratford Festivial, universities, and performance programs across Canada and the United States, a number of long standing students now currently teach at Dance Steps, and even more still have opened their own studios. Donna is excited to continue spreading her passion throughout the province and in London community. Krista has been a teacher at Dance Steps since 1989, when it first opened. She has choreographed for all Dance Steps productions including The Nutcracker and entered numerous dances in competitions. She is a fully registered member of The Royal Academy of Dance. She is also a member with the Canadian Dance Teachers Association and Associate Member with the British Association of Teachers of Dancing. Many of Krista's students have gone on to professional dance programs including the National Ballet School. Krista is thrilled to be on staff for her thirtieth year and will be teaching the all levels of the ballet program including the Company. Megan began dancing at Dance Steps at the age of 10, training in ballet, jazz, modern, lyrical and musical theatre. In 2011, Megan began teaching at Dance Steps while completing her undergraduate degree in Health Sciences at Western University. While at Western, Megan continued dancing and competing with a university dance team, inMotion. In 2015, Megan graduated with her master’s degree in Occupational Therapy. She presently works full time as an Occupational Therapist in addition to teaching and choreographing at Dance Steps. in addition to choreographing for Dance Steps Company Megan teaches jazz, lyrical, modern and contemporary dance. Megan's choreography has won numerous awards at dance competition in South western Ontario. Megan is so excited to be part of the Dance Steps team again this year! Thalia has been dancing at Dance Steps since the age of 4. Her training included Ballet, Jazz, lyrical, modern and musical theatre. Thalia started competing at the age of 9. While in University Thalia was the head of a University student based dance team called Inmotion. She is currently studying at York University in their Post Graduate Human Resources Program. Thalia is looking forward to being part of the Dance Steps faculty and sharing her love of dance to the students at Dance Steps. 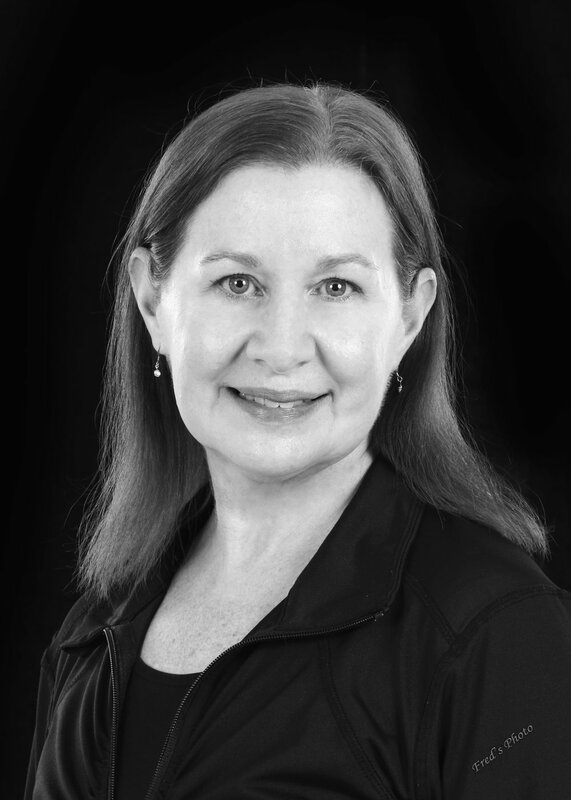 Ruth Douthwright is a Dance Artist and Certified Movement Educator. For over a decade Ruth has been a certified teacher of the Axis Syllabus and The Body Braid movement projects teaching nationally and internationally for dance schools, companies conferences and festivals. Graduate from LADMMI- École de danse contemporaine de Montréal with parallel studies in Body Mind Centering & Continuum, continued studies at Laban (London UK), The Body Weather Farm and The Kyoto Arts Centre (Japan). Currently Ruth is a London Artist in Residence through the London Arts Council with ongoing programs at Museum London and Public and Separate School Boards. Ruth is pleased to be teaching Modern, Body Braid in the Dance Steps modern program. Ms. Kim trained for 8 years at the National Ballet School in Toronto and danced for the National Ballet of Canada for 12 years. Kim danced all of the major classical roles with that Company as Principal Dancer under Erik Bruhn's direction. Kim's repertoire includes: "Romeo and Juliet", "Giselle", "The Nutcracker", "The Sleeping Beauty". She was a original dancer in Robert Desrosier's Blue Snake. Kim is a qualified RAD teacher, teaching all levels of ballet at Dance Steps. She has been involved in many Dance Competitions as an adjudicator. Kim is looking to share her knowledge give back to Dance Steps community her knowledge to young aspiring dancers. Lindsay has been dancing at Dance Steps since the age of 4. She is trained in Royal Academy of Dance ballet technique, completing her Advanced II exam with a mark of distinction. Lindsay choreographs for Dance Steps Company. Since the age of four, Hayley has trained in Ballet, Tap, Jazz, Modern, Lyrical, Contemporary, Hip Hop and Musical Theatre. She attained her RAD Advanced One Ballet Certification. Hayley attended Sheridan College receiving an Advanced Diploma in Music Theatre Performance and spent three years performing on Carnival Cruise Lines. Hayley is absolutely thrilled to follow her passion for dance and performance and is very excited to share her knowledge with her students. Julia trained in ballet, jazz, tap and pointe. She joined the Dance Steps team almost two years ago, after completing her B.A. in Criminology and Sociology. She is looking forward to another year at the studio! Pamela began dancing and performing at the age of 3 years in El Salvadore. Her father is a professional dancer and now owns two dance studios in El Salvador. In 2011 Pamela won a scholarship from the Broadway Dance Centre in New York City to attend their 2012 summer workshop in Orlando Florida and 2013 workshop in Las Vegas. She moved to London ON to begin her high school studies at H.B Beal secondary school known for their performing arts and dance programs. Pamela taught hip hop for Dance Steps' YMCA program for 2 years. In 2016 Pamela auditioned and attended the Commercial Dance Program at George Brown College in Toronto. While at George Brown Pamela further enhanced her dance skills in the triple threat program learning jazz, hip hop and ballet combined with in depth acting, vocals and chorus repertoire. It is a pleasure to have Pamela as part of the Dance Steps family of teachers. Eunice has been dancing since the age of 3 and participated in competitions throughout middle school. She is trained in ballet, modern, contemporary, jazz, pointe, tap and hip hop. She is currently in her 4th year of media studies at Western University, and is completing a dance minor. Samantha grew up training competitively at All That Dance in Toronto while attending the Earl Haig Claude Watson program for dance. Samantha studies at the university of western for kinesiology and is beyond excited to continue her dance career here in London. She can’t wait to be a part of the Dance Steps family and continue to inspire future generations. Chimira is currently an incoming MSc Student in Planetary Geology at Western University and an Honours Integrated Science (iSci) alumna from McMaster University. She started dancing at the age of 4 years old and continued her professional dance training at The School of Cadence Ballet where she graduated as a senior principal member of the youth company. Coming from an arts high school background as a graduate from the Iona Secondary School Arts Program as well as a professional training program, Chimira is trained in the genres of Vaganova and RAD Ballet, Contemporary, Modern, Jazz, Improvisation, Hiphop, Acro, and both Classical and Contemporary Ballet Pointe repertoire. Chimira has been lucky enough to have worked with and assisted choreographers in the dance industry such as Courtnae Bowman, Svetlana Lunkina, Julia Cratchley, Stephanie Rutherford, Dave Wilson, Kyra Jean Green, Allen Kaja, and Sarah Murphy-Dyson. She is a free lancedancer, choreographer who was also the captain and president of MAC Dance: McMaster University VarsityDance Team 2016-18 and has performed and choreographed at various events with the Parahumans DanceCompany, Dance Ontario, Cadence Bridges Ballet, and Scholarship Dance Toronto. While constantly juggling academia and dance, Chimira believes that having the two, sets a good balance and motivation towards continuing a passion for teaching/mentoring in dance! Sandy has been dancing as long as she can remember. She started at Dance Steps when it first opened and fell in love with dance. She specializes in Latin with an urban fusion style. She enjoys up beat rhythms which makes for a motivating and fun dance experience. At Dance Steps she teaches the Funky Fusion class, which combines Latin elements with cardio. She looks forward to seeing everyone in class each week!